An OPP cruiser is seen in this file photo. A driver has been charged after she was caught on radar going more than double the speed limit. A provincial police officer was conducting radar on Wellington Road 7 on Thursday at around 12:45 a.m., near Ponsonby Public School. Police say the officer saw a small SUV going northbound at high speeds. The vehicle was allegedly locked on radar going over 180 km/h, more than 100 km/h faster than the posted speed limit of 80 km/h. 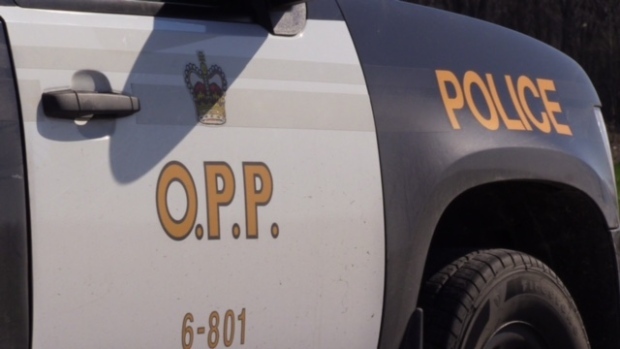 Police then discovered that the driver, a 44-year-old Guelph woman, was suspended from driving. She has been charged with racing a motor vehicle and driving while under suspension. Her vehicle was seized for seven days. She is scheduled to appear in a Guelph court on June 5 to answer the charges. This is a corrected version of the story. Police originally stated that the incident happened around 2:45 p.m. On April 12, they announced a correction to the time, as reflected above.